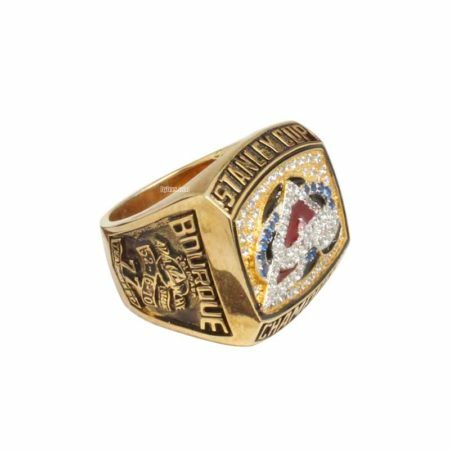 1996 Colorado Avalanche Stanley Cup Championship Ring commemorated the 1996 Stanley Cup Final during NHL 1995-1996 season. 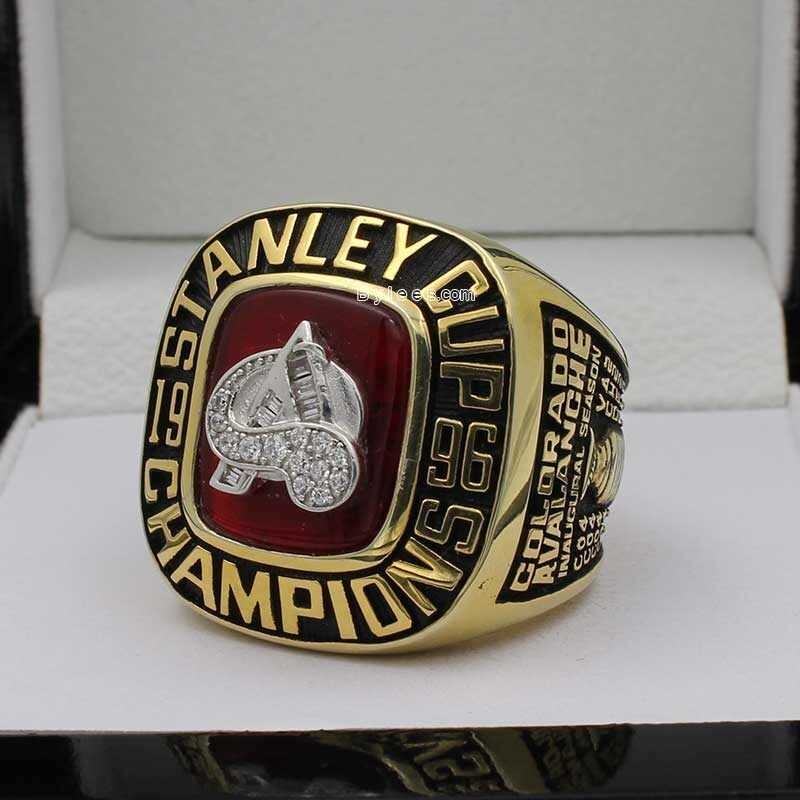 Colorado defeated Florida in a four-game sweep to win the 1996 Stanley cup ring which is also their first Stanley Cup .Colorado’s Joe Sakic earned the Conn Smythe Trophy as MVP of the 1996 Playoffs. 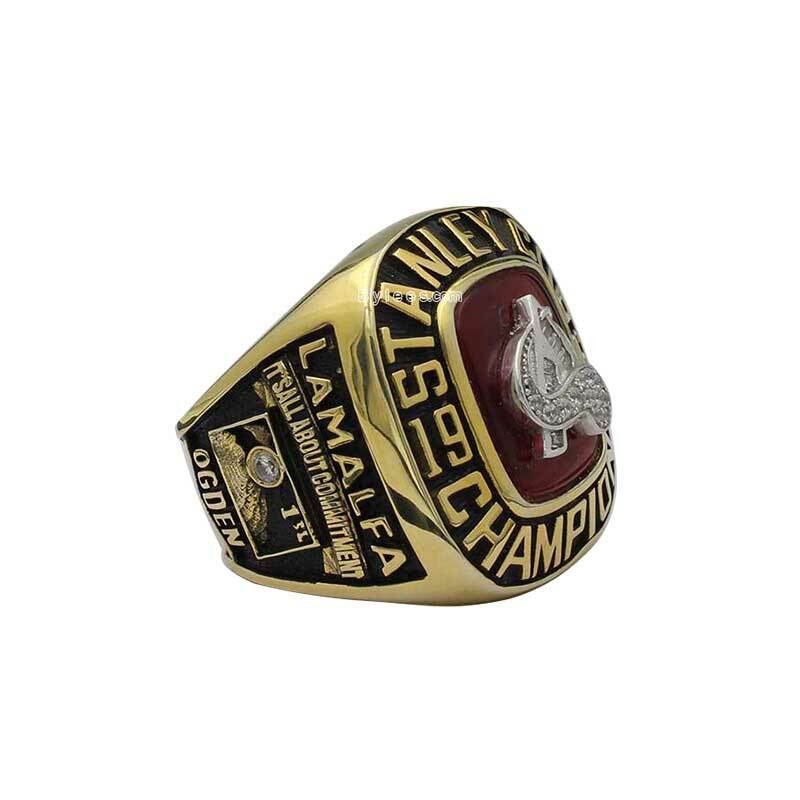 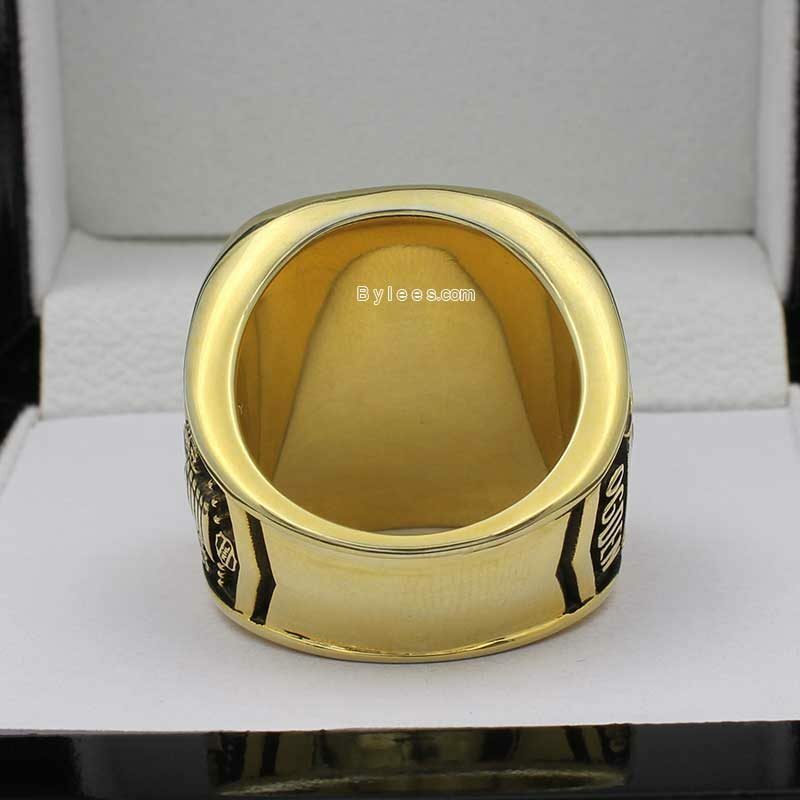 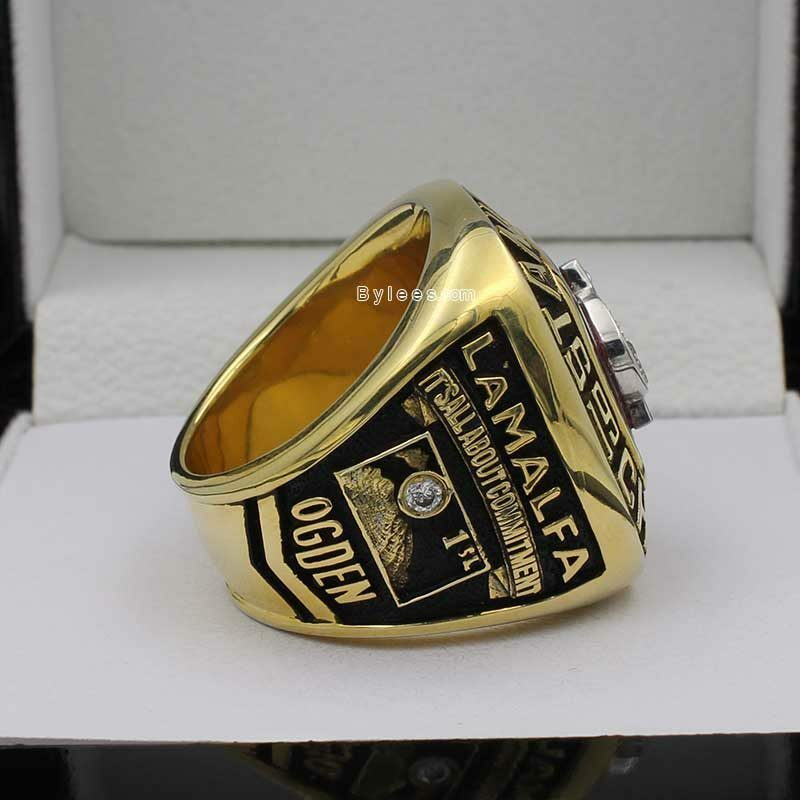 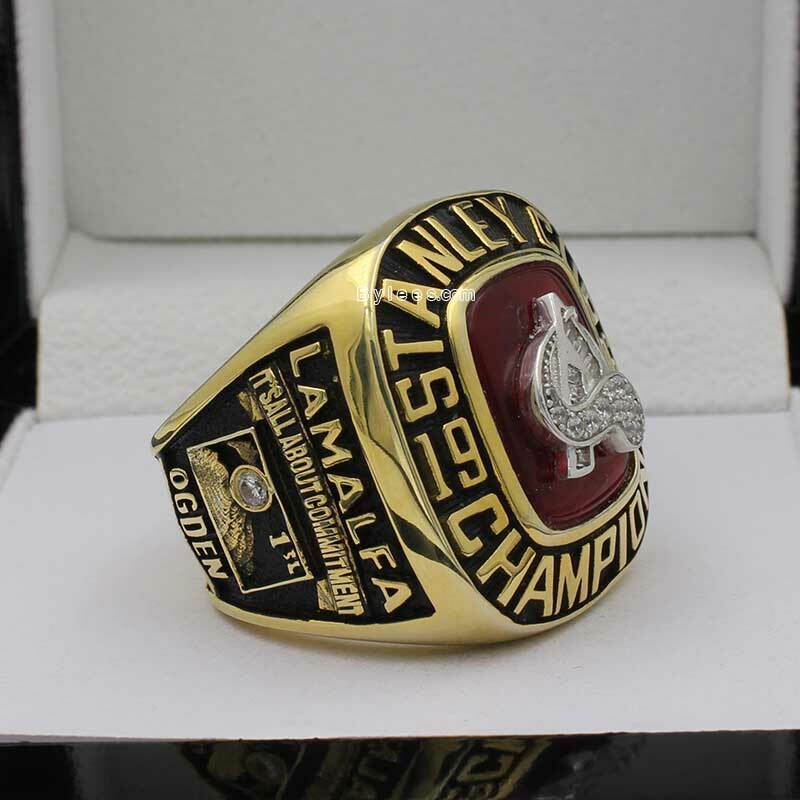 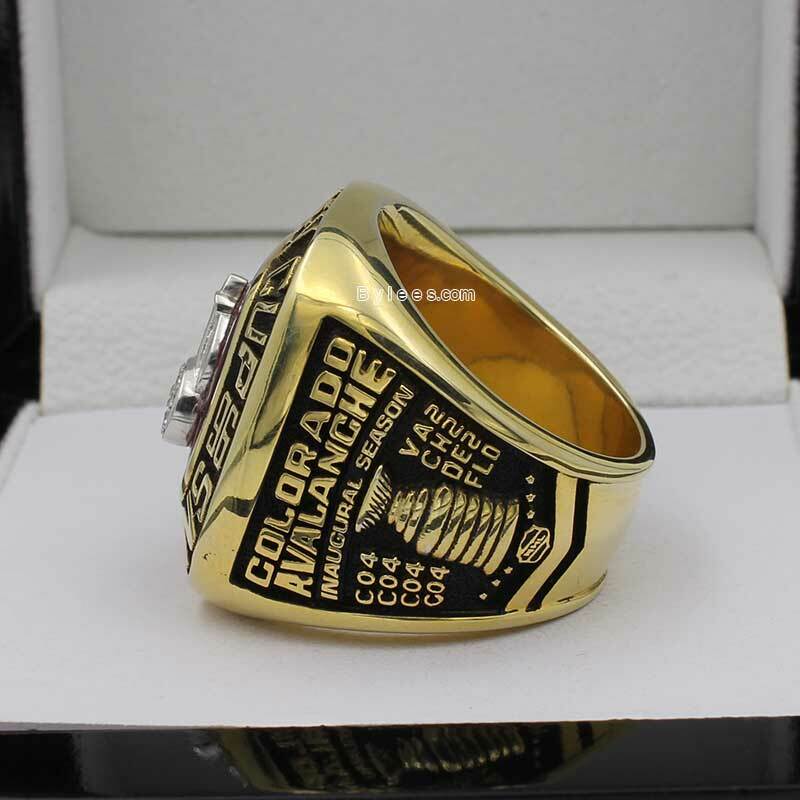 The 1996 NHL Colorado Avalanche Stanley Cup ring located the team logo at the center of the top surrounding by the texts stanley cup champions, and engraving the famous commitment of winning a championship ring”it’s all about commitment ” on one side and the series scores on another side. 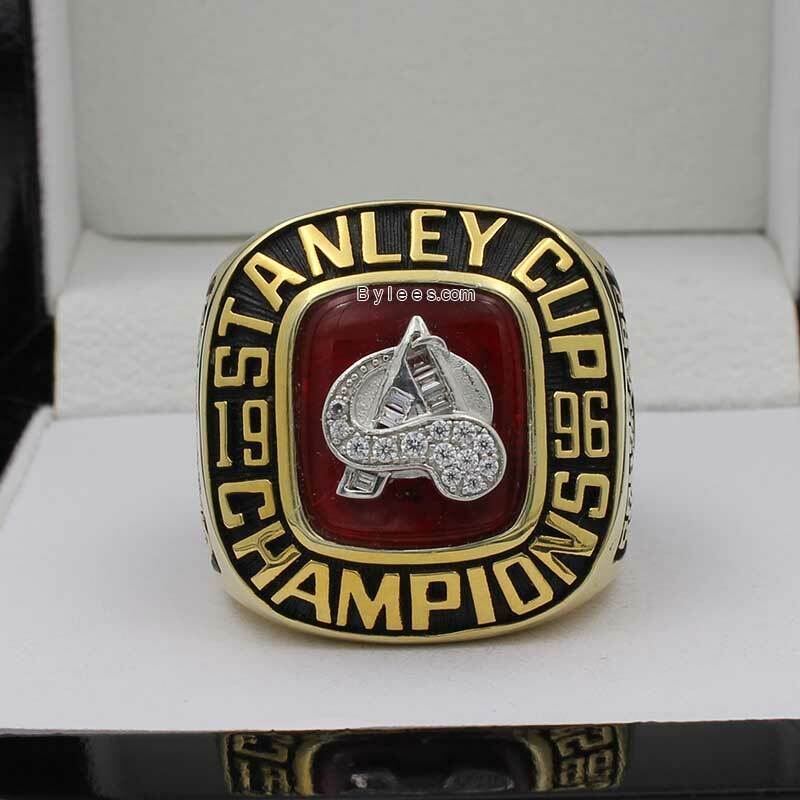 indeed, the Avalanche1996 stanley cup ring means a lot to the team, it was the first major professional championship ring won by a Denver team and the Avalanche are the only team (expansion or brand new) in NHL history to win the stanley cup championship ring in their first season after a relocation, and only the second team to win a league championship ring in their first season after a relocation in any of the four major North American sports leagues.